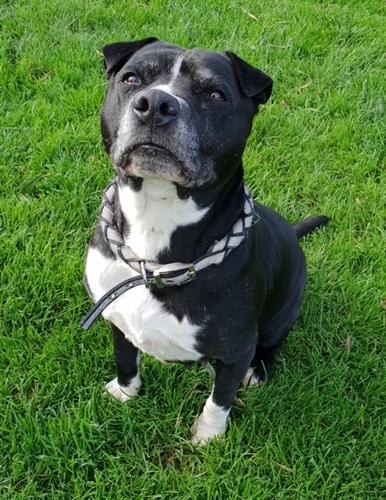 Published 15th October 2018 at 386 × 500 in Dogs Looking for Homes. ‘Ziggy’ 9 year old Female Staffordshire Bull Terrier Cross. Ziggy was originally a stray so her history and habits are unknown. Ziggy is a little bit older so is a bit more laid back. She would love a quiet home where she gets gentle walks and is allowed to sleep most of the time.